I was a little confused about the new recycling program. I thought our trash, recycle and yard waste would be picked up on Monday, May 2nd. NOT SO. Please left click on the link below to find out the new schedules for our neighborhood. An online address lookup tool where residents can input their current address to obtain their new service days. Trash and recycle will be picked up on Friday. Yard waste will be picked up on Monday. Please feel free to contact the County with any additional questions. 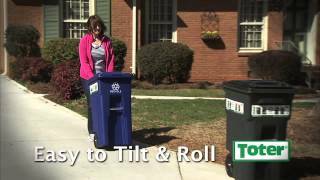 LARGO, MD – Starting May 2, 2016, residential curbside trash and recycling pickups in Prince George’s County will move to a same day, once-a-week Tuesday through Friday schedule, providing resident’s with one trip to the curb. This change affects residents receiving County-contracted trash and recycling services only. Countywide yard trimmings pickups will also be affected moving to Monday from its current schedule of Wednesday. According to an internal study, County officials have found fewer residents utilize twice-a-week garbage collection since the County introduced its recycling program in the 1990s. “County residents are using their blue recycling containers more and trashing less,” says Department of the Environment Director Adam Ortiz. “So, it’s good policy to make the switch now that residents are doing their part in helping the County reach its zero waste goals,” says Ortiz. The new service schedule will not result in a rate reduction, but rather address a deficit in the County’s Solid Waste Fund which provides critical services; such as code reinforcement, litter pickup and blight removal throughout the County. A dedicated program website, onceaweek.mypgc.us with detailed information regarding the impending service changes. All residents receiving County-contracted trash and recycling collection services will receive one, wheeled 64-gallon toter/cart at no additional cost. Delivery of the toter/carts will begin June 2016 and is expected to last through the end of the year. Click here to view more information about the container. For more information, including specifics about the service change, a comprehensive list of frequently asked questions FAQs, the online address lookup tool, visit onceweek.mypgc.us or contact CountyClick 3-1-1. For more information please visit our website news page.